For the Cycle-life challenge No. 2 I rode from home to work then to the coast to see the annual Sculptures by the sea. 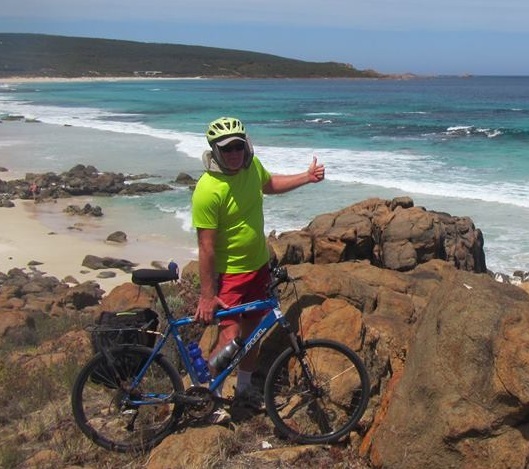 I live in the hills just east of the city of Perth, Western Australia and I've loved cycling all my life, From riding to primary school when I was 8 years old to cycle touring as a grumpy old man. 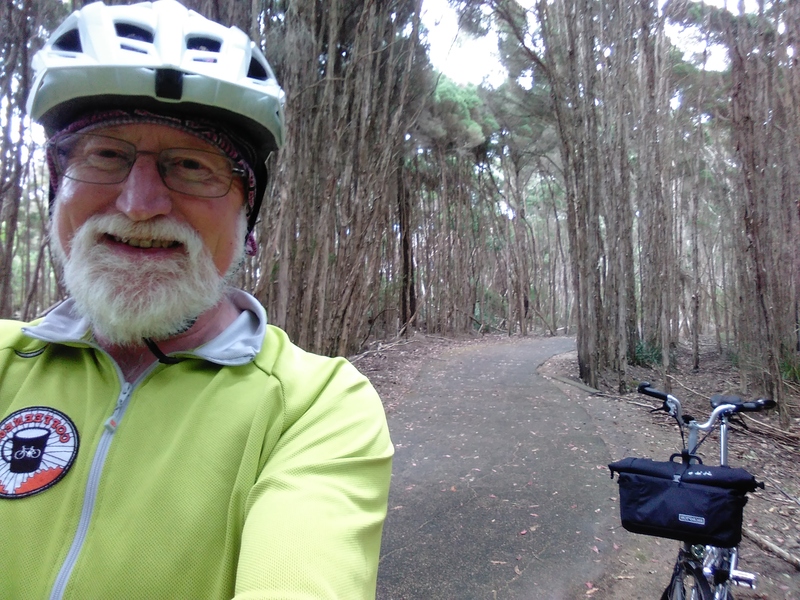 Cycling is freedom on two wheels and I love getting on my bike at any opportunity. 2 response to "Challenge 2, Checking out the ‘Sculptures by the Sea’ Cottesloe"
Fish and Chips unhealthy – surely not! In 1968 I lived above a fish and chip shop in Waterloo, London. Someone told me then that fish & chips & an apple was a well-rounded meal and I still choose to believe it! (even though I have a nagging suspicion it isn’t true). Maybe I was a little harsh on the ole fish and chips, the seagulls go mad over the stuff. I wonder if they still wrap it in newspaper in Ole Blighty?